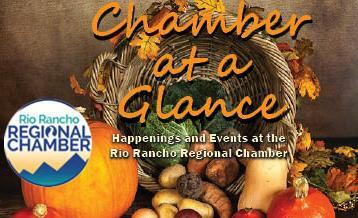 Ambassadors, don't forget to attend the November luncheon at the Chamber office! 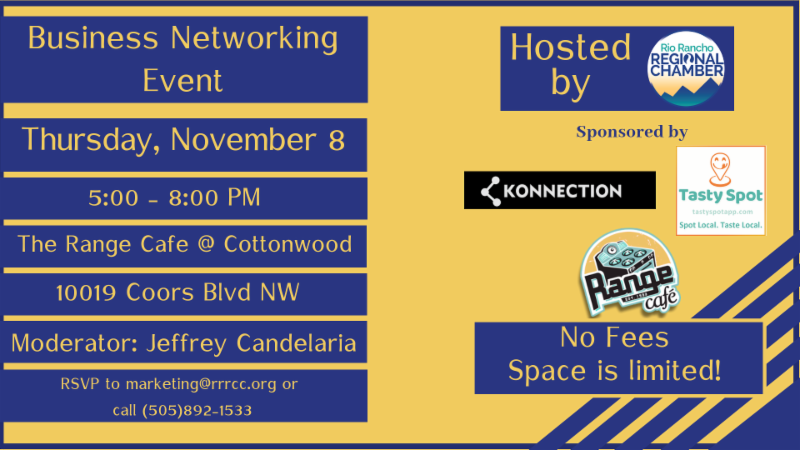 The Chamber has partnered with Jeffrey Candelaria to bring you a mega-networking event in November! Come to The Range Cafe for this free business networking event. 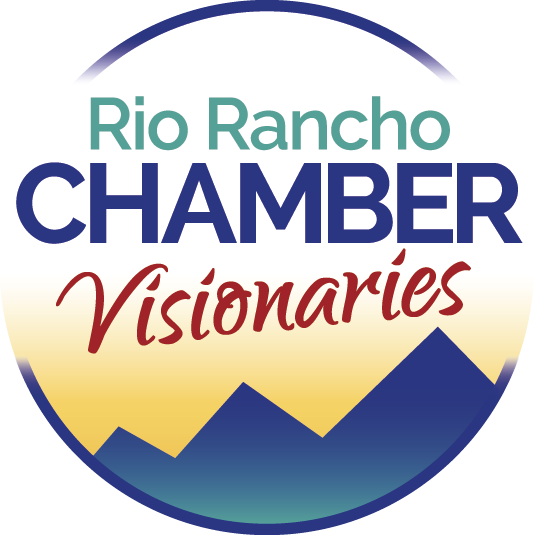 The Rio Rancho Regional Chamber Visionaries is a group of young professionals dedicated to developing a young workforce in Rio Rancho. In addition to being a leading voice for the area’s young professionals, Visionaries collaborate with local groups that share its commitment to attracting and retaining young talent in the business community. The Visionaries will be collecting toys for the Rio Rancho Police Explorers Post 911 Annual Christmas Party! 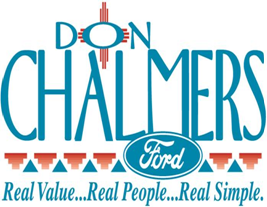 This wonderful event provides Christmas gifts and a meal to approximately 300 children in Rio Rancho every year. Donations of new unwrapped toys (for girls and boys between the ages of toddler to 12 years old) can be dropped off at the Chamber office located at 4001 Southern Blvd now until Dec. 4. Monetary donations can be by check to the Rio Rancho Police Explorers Post 911. 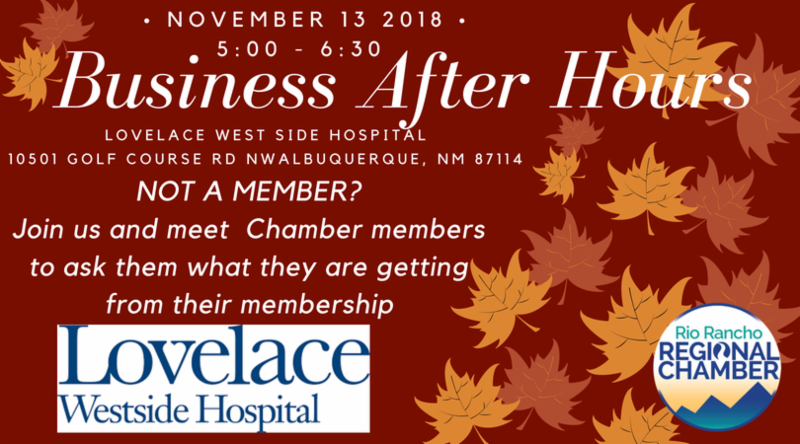 This is a great opportunity for Chamber members to network and visit a fellow member’s place of business. 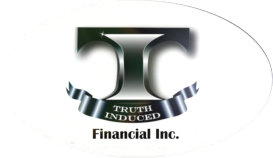 Meet other business professionals, exchange information and build relationships in a fun and friendly environment. 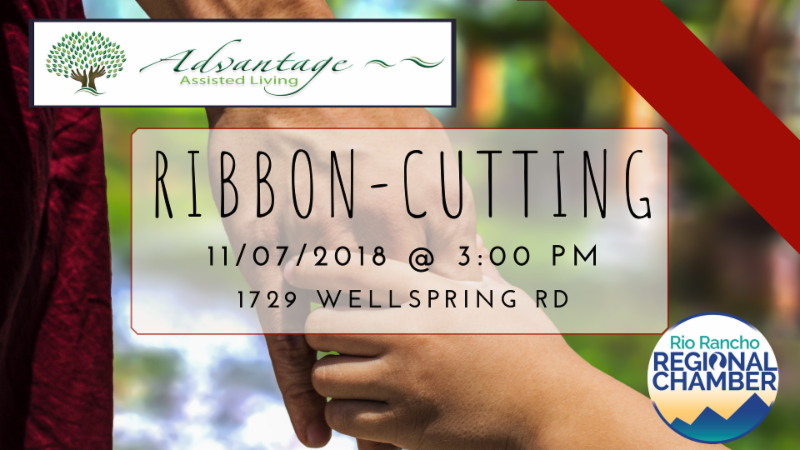 There will be light refreshments and door prizes! Special speaker Mayor Gregg Hull will be at our next quarterly luncheon to deliver his "State of the City" address. Business owners: be sure to get a spot at the Small Biz Expo taking place directly before the luncheon! 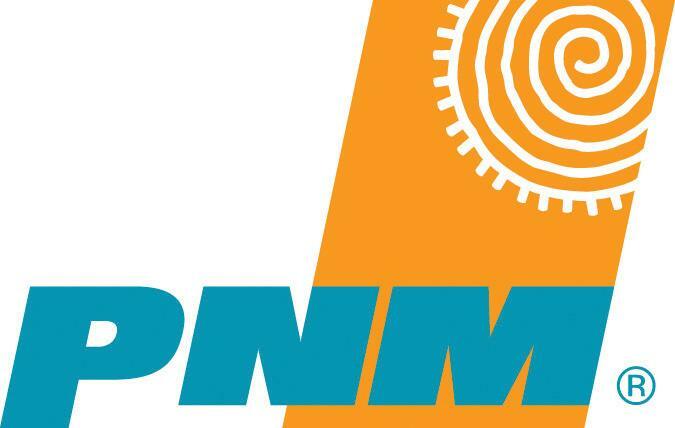 Don't forget to vote in the midterm election! Premiere Cinemas from 10 am until 3 pm. 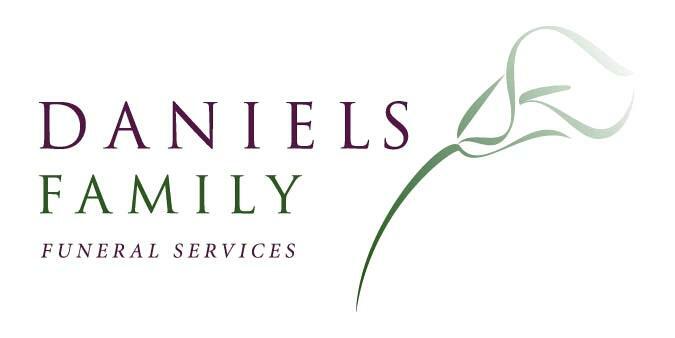 The Chamber is currently taking applications for arts and crafts vendors. Limited to 7 spaces only first come first served deadline to register is Nov 20th. A variety of local arts and craft makers will be selling their handicrafts, so be sure to stop by to do your holiday shopping. 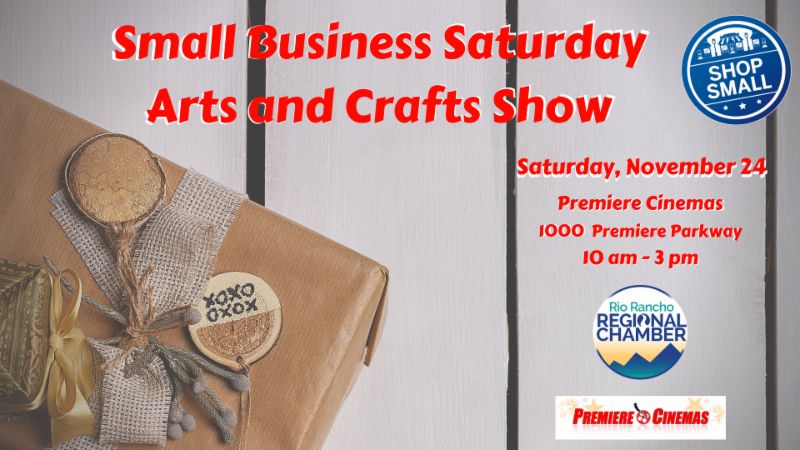 Become a Vendor at the Small Business Saturday Arts and Craft show! 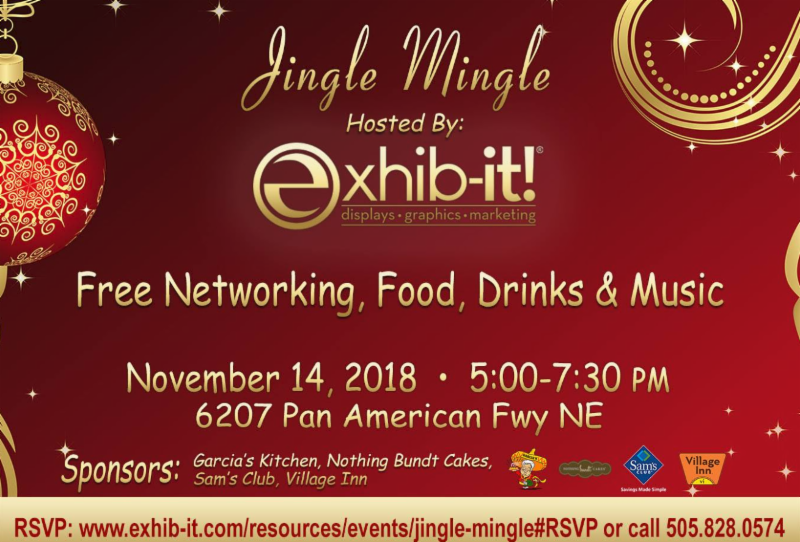 Nov 14 Jingle Mingle, hosted by EXHIB-IT! 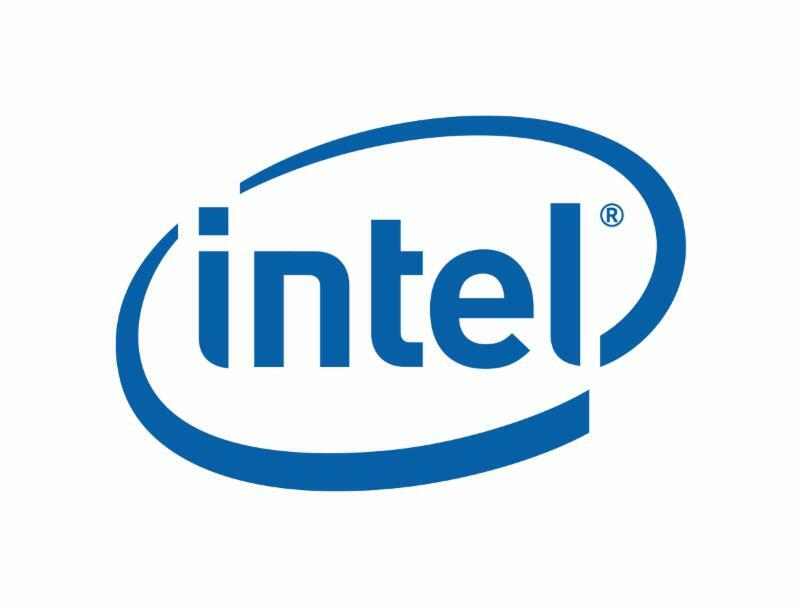 Want even more Chamber news? 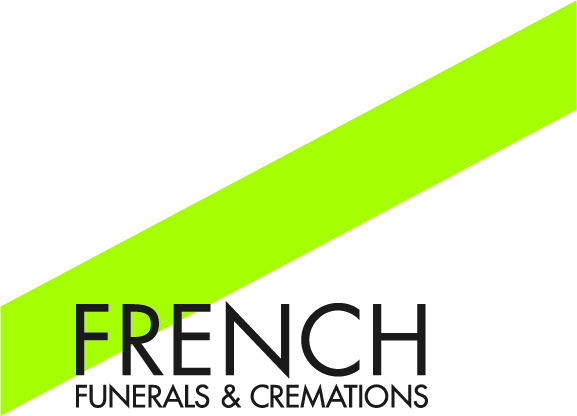 Like and follow us on Facebook to stay up to date on events and news within the Chamber!